Who do you think will win Love Island 2017? Vote in our poll! 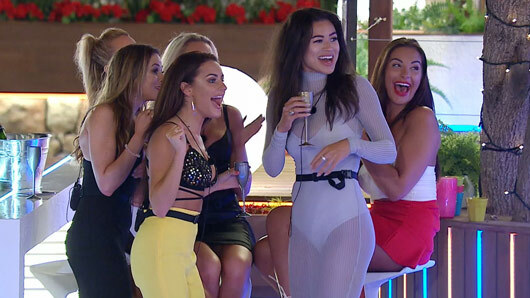 Tell us who your Love Island winner is ahead of the finale episode on Monday (July 24). Although we’re trying not to think about what life will look like without Love Island to look forward to every day, unfortunately our favourite ITV2 series will be coming to an end next week. On Monday, Caroline Flack will enter the villa to announce which couple the public has crowned the winner of Love Island 2017. But who will it be? The remaining couples are: Marcel Somerville and Gabby Allen, Camilla Thurlow and Jamie Jewitt, Montana Brown and Alex Beattie, Olivia Attwood and Chris Hughes, and Kem Cetinay and Amber Davies. The champions will receive a tasty £50,000 cheque but, knowing Love Island, there is almost certain to be a twist. In previous series the couples have been given the option to either split or steal the cash, although host Caroline has hinted that this might change this year. Who do you think will be the winning couple on Love Island 2017? Vote in our poll below and come back on Monday to see if your prediction was correct!